For those of you who like vintage or unique home decor items, Etsy has a goldmine of items at amazing prices. I have found items I've seen being sold at flash sale sites (I'm looking at you One King's Lane!) for a fraction of the price on Etsy. The huge drawback however is that there are so many different things on Etsy that it can be hard and overwhelming to try to find what you're looking for. Click through if you're interested in finding a few treasures on Etsy and want help knowing where to start! 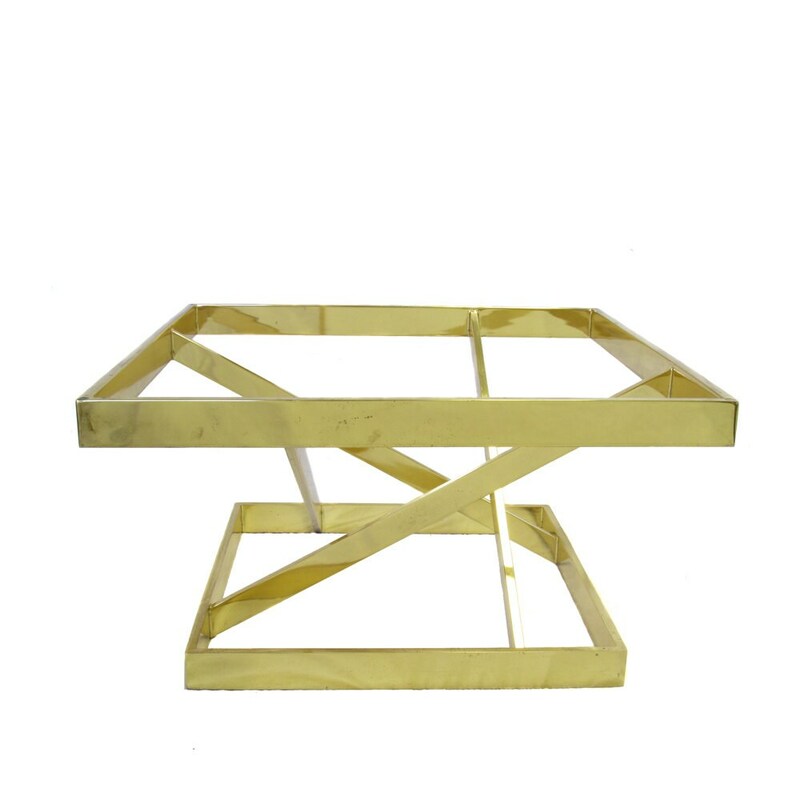 When it comes to home decor items, the best way I've found to find items is to search by style. If you don't know the exact style(s) you like, take a look here and browse through the pictures to see what you like best. That being said, there is a certain culture surrounding Etsy - you're not going to find cookie cutter Ikea-like furniture on the site. Instead, you're going to find vintage items, thrifted items, or custom made items. For that reason, some home decor styles will not be represented as well as others on Etsy. 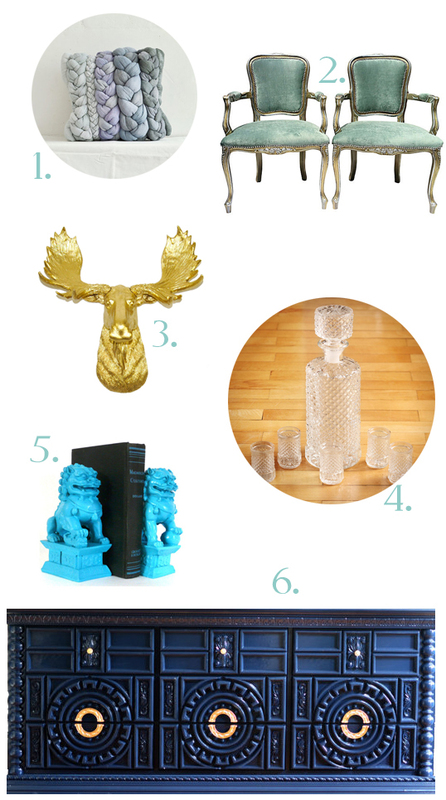 As for me, my style is eclectic with a dash of hollywood regency sprinkled with some mid-century modern items. I definitely like to mix styles to achieve a unique look. Hollywood regency and mid-century modern are definitely well represented on Etsy so I've had a bit of luck finding items up my decor style alley. Below I have a list of home decor sites I favorited, as well as search terms that have been effective in filtering my search results. Taftyli - Operated by a pair of sisters in Poland, they make the most amazing hand braided (plait) and hand-dyed linen items. They do take custom orders as well, so you can request an item to be dyed in a certain color. The store is also sprinkled with sheepskins as well. My favorite pick is the braided pillow cases! The Papaya Tree - Did you ever flip through pages of a glossy home decor magazine or browse through a really posh home decor blog site and see this amazing piece of brightly colored furniture that's been beautifully refinished? Lesly from the Papaya Tree does exactly that. The style is unabashedly hollywood regency, and if you love that style, her store will be a goldmine for you. Nash Pop - I love this store!! They have a big selection of eclectic statues and figurines. The best part is that they come in super fun colors like hot pink, royal blue, chartreuse, gold, and orange. The prices are very reasonable too. Want an item in another color? You're in luck, they welcome custom orders! Feelin' Vintage - This store has a great selection of vintage items, mostly in the hollywood regency style. Some of the items come ready to put in your home without any TLC, but other big ticket items like dressers, chairs, and dining tables need a little work. Nevertheless, there are definitely some great treasures waiting to go to a new home! Jeremiah Collection - Mid-century desks, side tables, nightstands, and dressers fill this store. If you love that reclaimed wood and rustic look to furniture, check out this store!